I never thought I’d be an expert on overdue babies. I was born three weeks before my due date. My sister also came well before her due date. 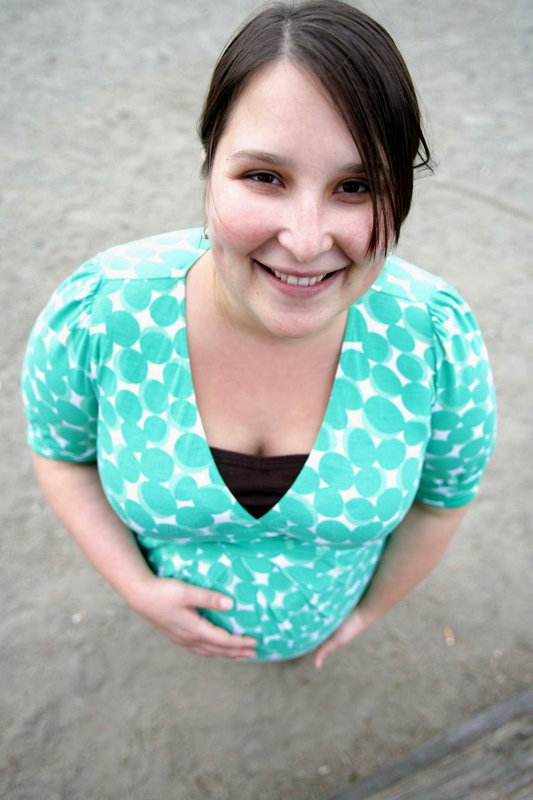 It never occurred to me that I would be pregnant weeks after my due date. But I did it– twice. 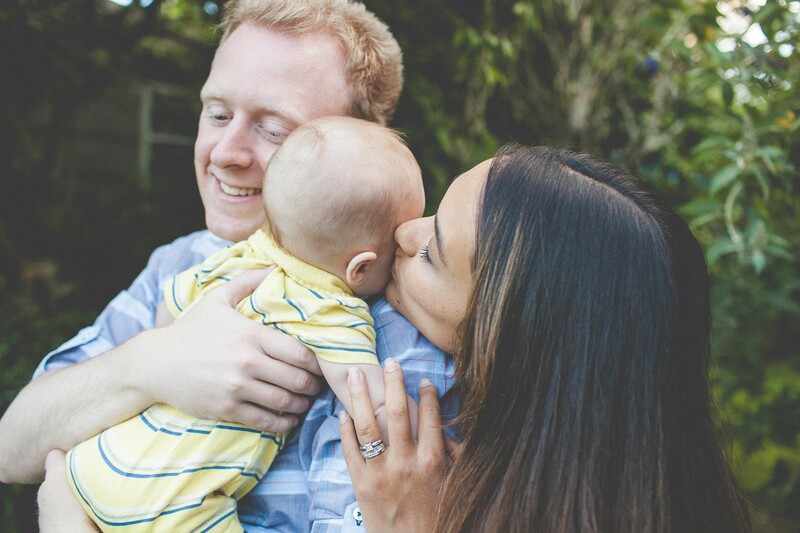 With my first daughter, I started maternity leave two weeks before she was due. I was that sure of her early arrival. Of course I had heard that the average first baby is eight days “late,” but I still didn’t expect that to happen to ME. My baby had turned head down early, she had dropped early, and my cute round belly had started looking more like a deflated beach ball. Surely I was ready to pop any moment. Amazingly, the two weeks between my due date and Quinn’s birth ended up being a pretty magical time. During week 41, I rented silly, girly movies to watch “with my daughter,” spent an hour or two a day in Magnolia’s Mounger Pool, and did a million cat-cow poses. I walked the hills of Phinney Ridge, sat and read parenting books in the nursery, and sucked on fruit popsicles. At the time, I thought I was welcoming motherhood. But I look back now and it seems more like I was saying goodbye to my girlhood. During week 42, I made playlists that I could use for the different stages of labor. I took copious notes on every tiny contraction during the three days that my early labor built. I walked around Greenlake and enjoyed people’s horrified reactions after they asked me when I was “due.” “Is your car nearby?” they would always ask, slightly panicked. On the thirteenth day after my due date, I ate my last Dutch Baby with blueberries and lemon juice. I went to the pool in the morning, then had my third acupuncture session. I had strong early contractions all day and listened to my upbeat labor playlists, singing along with Ani DiFranco and Modest Mouse. By 5 a.m. the next morning, I was listening to the didgeridoo at the birth center. 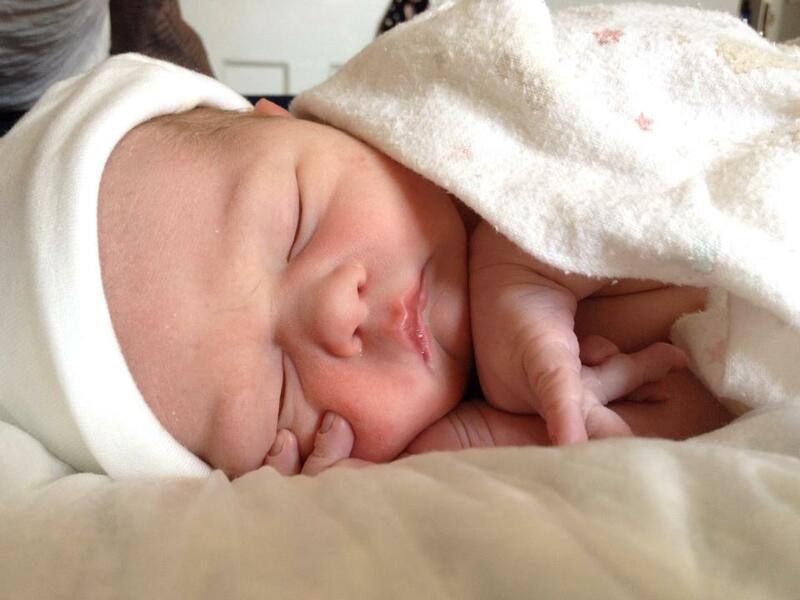 Six hours later, I gave a last hard push and felt my little girl come surging out into my midwife’s arms. She let out a small, healthy little cry as I let out a long, well-deserved sigh of relief. I lifted my head to look at her tiny, perfect face as she rested on my chest. She smiled faintly and settled her cheek on to my skin, my husband’s arms around us both. Our lives had changed forever, and I was so grateful that we had all the extra time to prepare. Almost two years later, my second daughter came on her due date and shocked us all. I was so ready for a late baby that I didn’t really notice that I’d been in early labor all day. When the hard labor hit, I still wasn’t convinced, and it wasn’t until I was pushing that I realized she was really coming. Holding my sweet baby in my arms, I felt like I’d gotten away with something wonderful. No one even suspected I was in labor. Did we even have to tell them or could we keep it to ourselves for a week? The day after Ruby was born, my mom was at the store buying me the nursing bras and ice packs I’d planned to buy over the next week. I figured it was reasonable to expect my third within about a week of her due date. I was surprised to still be pregnant as mid-August turned to late August, but still managed to be mostly serene. I was genuinely relieved for the extra time with my older daughters, and strove to make our last days as a family of four magical. We went to the beach and the zoo countless times, chased the ice cream man through the neighborhood, and even made a pilgrimage to American Girl Place. We rode the Great Wheel for the first time, wandered Pike Place Market and spent hours selling our signature blue lemonade from a card table in our driveway. We hit every wading pool and splash park in the city. Riding the Great Wheel at 40 weeks pregnant. Every night, I went to bed exhausted and sure the baby would come that night. Every morning, I awoke amazed to be still pregnant. I walked around Greenlake a lot. “I feel like everyone is staring at me,” I told my husband one beautiful evening. “That’s because they are,” he admitted. The second week post-dates began and my zen was waning. I couldn’t believe mega-late pregnancy was happening to me again. When you are very pregnant, it’s like you’re in the twilight zone of early motherhood: your baby is within you, fully grown. You’ve done your job. You’re ready. She’s ready. But you’re still pregnant. If you ever manage to forget your extremely pregnant status for even five minutes, the world quickly reminds you. The well-meaning inquiries were constant just like the first time, and just as impossible to answer. The daily non-stress tests and ultrasounds were reassuring, but overwhelming– especially since I was lugging a three- and five-year-old along to every appointment. Fears of induction crept into my mind at night. Finally, I decided to own it. 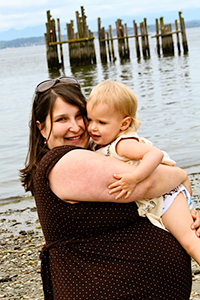 Yes, I was extremely– freakishly– pregnant, but I felt great and my baby was still thriving. Strangers were constantly asking me about my pregnancy, so I decided to answer proudly instead of trying to hide. I made it my personal mission to exude health and strength, to normalize late, late pregnancy. Maybe someday some woman will find herself staring down her 42nd week and remember me and feel a little less alone. Anyway, It made me feel less alone to picture her. One hour old– and 13 days late. Bizarrely, the longer you are pregnant, the less likely it seems that your baby will ever be born. But then she was. I woke up at 5:30 a.m. on August 26, my contractions building as I watched the sun rise. I woke my husband. He called my parents. We paged the midwives. I gave in to the pain, the fear and my own powerlessness over any of it. Just when it seemed like it would never end, it was suddenly all over, and ten months worth of relief washed over me. I was no longer the most pregnant woman in Seattle. I was just another new mother, my fingertips lightly tracing the curve of Nora’s perfect cheek, stroking each little toe. Some day soon, I won’t be able to remember her due date. But I’ll never forget her birthday. Or strapping her into her carseat 10 days later to bring her sisters to their first day of kindergarten and preschool. But that’s another post entirely. 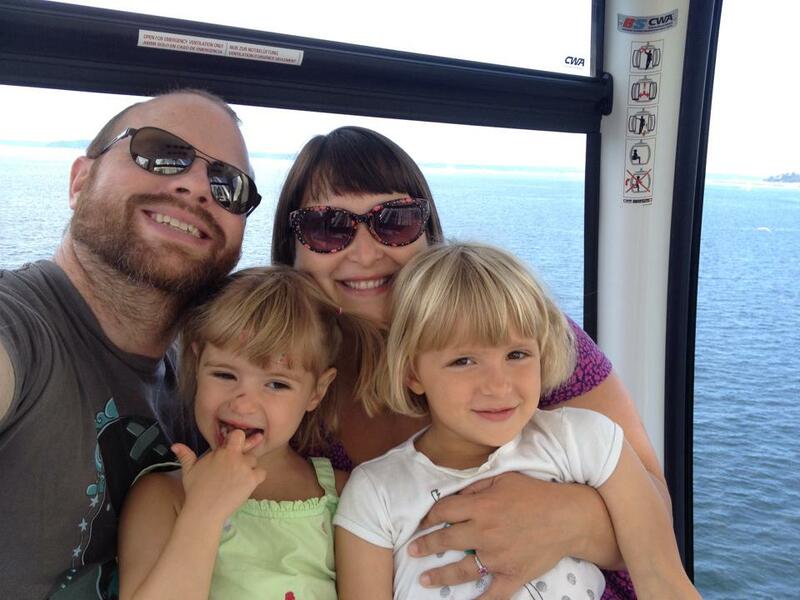 Shawna Gamache is a former newspaper reporter and co-founder of the local blog Moms Alive. She is mama to Ruby, 3, Quinn, 5, and Nora, 8 weeks. In her quiet moments, Shawna loves writing, knitting and avoiding eye contact with her laundry pile. ← Beware the Corn Maze! Excellent article and thanks for your thoughts and opinions. So helpful to me as I’m 41 weeks and ppl make me feel like I’m crazy for not having chosen induction yet. Things happen when they’re supposed to, not on your time schedule…right? Thank you!